Dulcie sent me this photograph of some of her creations. 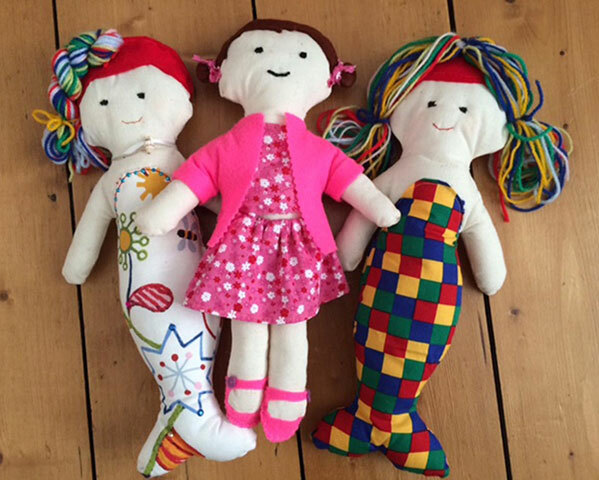 Here we can see three wonderful hand-made cloth dolls. Dulcie has styled them all with great attention to detail. I love the multi-coloured wools that she has used for the mermaids’ hair. From left to right we have: Cascada, Lottie and Tallulah – I think they are inspirational for making new picture book characters!